DaVita Inc. (NYSE:DVA) has redesigned its company's kidney disease educational Web site and, among other changes, added a new "Diabetes" section. Due to the growing number of educational articles at DaVita.com and the popularity of tools and services for people who have or are at risk of chronic kidney disease (CKD), the Web site has been redesigned to make the features more easily accessible. Diet tips for diabetics with kidney disease. One of the new features is the Your First Day on Dialysis video. Produced exclusively by DaVita.com, the video shows what the dialysis process is like for first-time patients. Five current dialysis patients share their experiences in the video, which helps new patients know what to expect and helps current patients know that they are not alone. It is also beneficial for caregivers, friends and family members to learn what happens at their loved oneÂs dialysis treatments. "The incredible feedback we've received regarding DaVita.com lets us know people are using the information and the tools we are providing to help them improve their quality of life," states Kent Thiry, DaVitaÂs CEO. "We want to meet their expectations and be the preeminent source for kidney disease and dialysis information on the web." The "Diabetes" section was added to reach the great number of diabetics who may be unaware of their risk of developing kidney disease. Having the Diabetes section on the website helps to better target and inform people with diabetes about their risk for CKD. The growing number of people with kidney disease is attributed to a dramatic rise in diabetesÂthe number one cause of chronic kidney disease. According to the United States Renal Data SystemÂs (USRDS) 2004 Annual Data Report Reference Tables, almost one in four (10 - 21%) people with diabetes also have chronic kidney disease. Diabetes is the cause of approximately 43% of all new cases of CKD. "A patient with diabetes may not be aware of the diabetes and chronic kidney disease connection," says Thiry. "People with diabetes need to know there are steps they can take to delay or prevent the progression of chronic kidney disease." DaVita.com provides a comprehensive overview about diabetes at http://www.davita.com/articles/diabetes/, including: definitions, causes and symptoms, controlling diabetes, diabetes and kidney disease, preventing diabetic kidney disease and other facts about diabetes. Special articles also address unique issues faced by diabetics, such as: "Diabetes and minorities: What are the risks?" and "Diet tips for diabetics with kidney disease." The new [Diabetes section joins the Kidney disease, Dialysis and Recipe sections on the DaVita.com homepage. Free recipes on DaVita.com are designed for people at every stage of kidney disease including those on the "diabetic dialysis" diet. Because both the dialysis diets and the diabetes diets have different food restrictions, the recipes are helpful in providing tasty solutions and adequate nutrition, while being mindful of the restrictions of both diets. 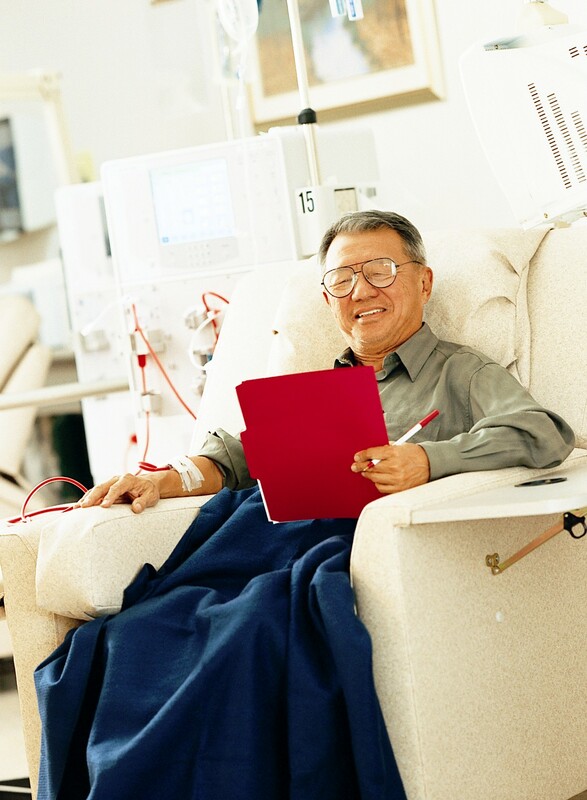 DaVita is a leading provider of dialysis services for those diagnosed with chronic kidney failure. We serve over 55,000 patients in 37 states and the District of Columbia through approximately 665 affiliated outpatient dialysis centers. 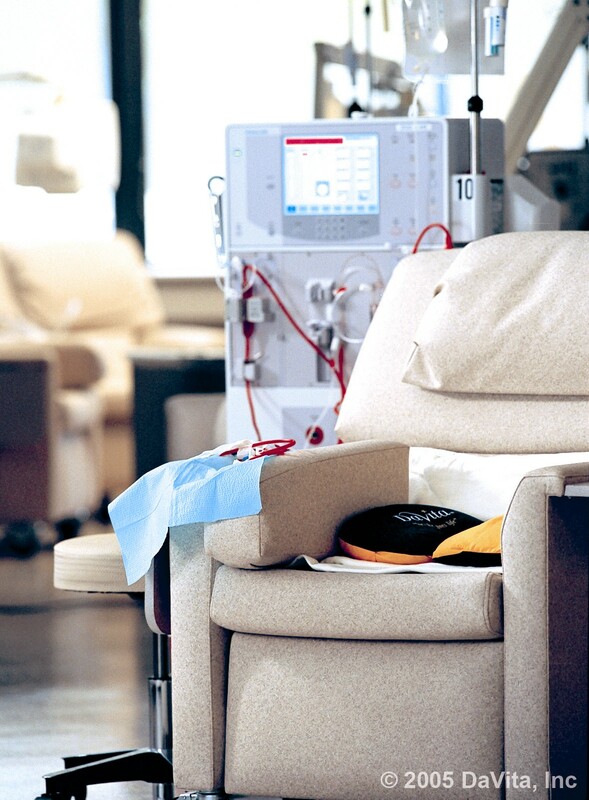 DaVita also provides acute inpatient dialysis services in approximately 369 hospitals across the country. DaVita.com is the premier online resource for information on dialysis and chronic kidney disease. From informative articles and animated learning modules to recipes for the renal diet and other useful tools, DaVita.com is always adding to the wealth of information it offers website visitors. You are invited to discover how kidneys work and how dialysis works, plus take advantage of special features including our Discussion Forum, dialysis center locator, Insurance Consultation, GFR Calculator, and more. Sign up to receive the monthly DaVita.com newsletter and we'll keep you posted on what's new on the website. For more information, please visit http://www.davita.com, or contact Ernie Barojas at ebarojaspr@davita.com or 310-536-2520.